This double-grit silicon carbide stone has both coarse and fine abrasives. 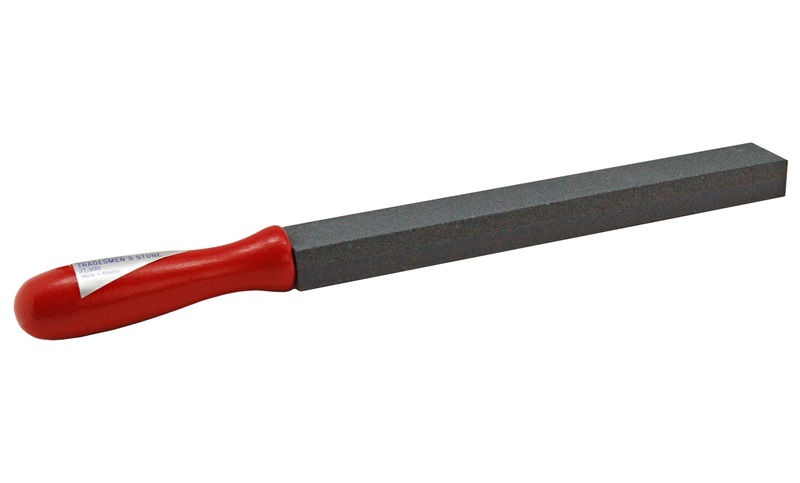 Used for sharpening trimming knives for leather and rubber, and as abrasive files in many industries. 14-3/4" in overall length including wooden handle. 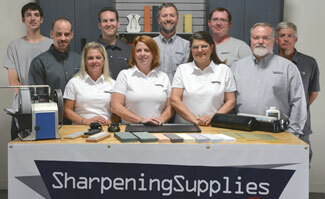 We have found this tool to be especially useful for sharpening any large tools. You can clamp an axe in a vise and use this like you would a file for a fast quality edge.